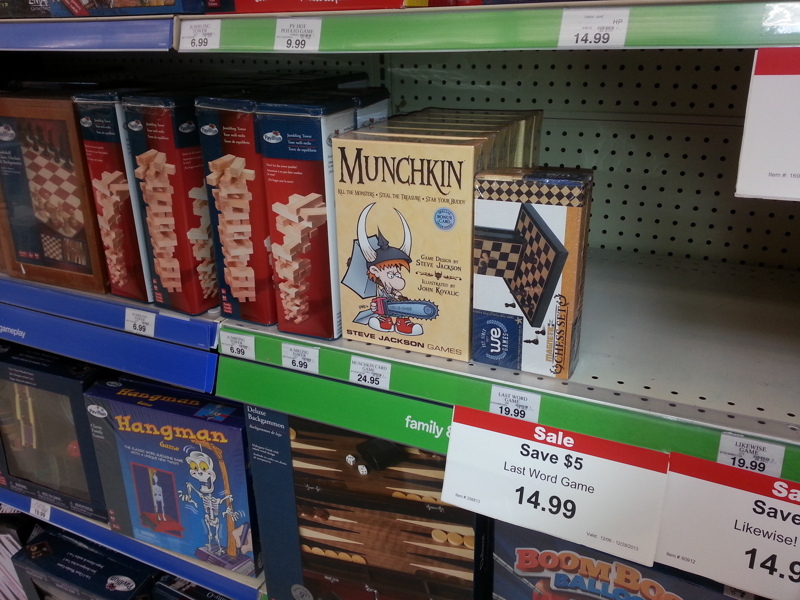 As you can see from the picture, you can now find Munchkin in Toys 'R' Us! Kermit flail! We're all very excited that this happened; it means that Munchkin gets in front of a whole new group of people who otherwise might have missed it. More people in the hobby! More people to play Munchkin with! Yay!